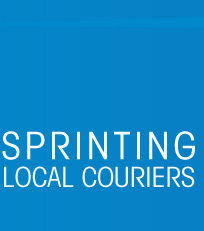 Sprinting Local Couriers service the GTA and all surrounding areas. Our regular office hours are Monday to Friday, between 8:30am and 5:30pm. All of our couriers carry Mike handsets which function as 2 way radios, cell phones and 2 way pagers. Our highly competitive rates are determined by the pick-up address and the delivery address. Rates are available upon request. Our goal is a smooth and timely execution of our clients requirements and we welcome the opportunity to customize our service program to meet your business needs.